Tata Motors has been at the forefront of technology and product innovations that have contributed significantly in facilitating the nation's growth. Today, it has emerged as the leader in Medium & Heavy Commercial Vehicles Truck category with 25 lakh trucks rolled out so far. Tata M&HCV Trucks have stood the test of time and delivered value to customers operating in varied applications. Pioneers in product innovations as well as in segment introductions, M&HCV Trucks cater to a comprehensive range of cargo- market load, agriculture, cement, iron & steel, container, vehicle carrier, petroleum, chemical, water tankers, LPG, FMCG, parcels, white goods, ODC, perishables, construction, mining, municipal applications with options of load bodies, tankers, bulkers and trailers. have been recognised as benchmarks in the M&HCV trucks industry. Even in terms of customer service, Tata Motors has stayed a step ahead and launched several programmes that are tailor-made for specific needs. It is the first CV manufacturer globally, to introduce Customer Loyalty Programmes such as Tata Delight / Tata Emperor offering loyalty benefits to its M&HCV customers. 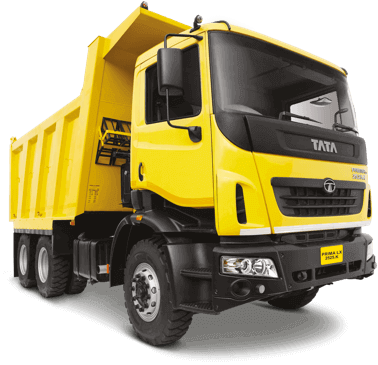 At the same time, services such as Sampoorna Seva (Annual maintenance contracts), Recon (reconditioned aggregates), Tata Alert (road side assistance) and Tata Fleetman have been recognised as benchmarks in the M&HCV trucks industry. the Tata M&HCV truck success story continues unhindered, crossing several milestones on the way.